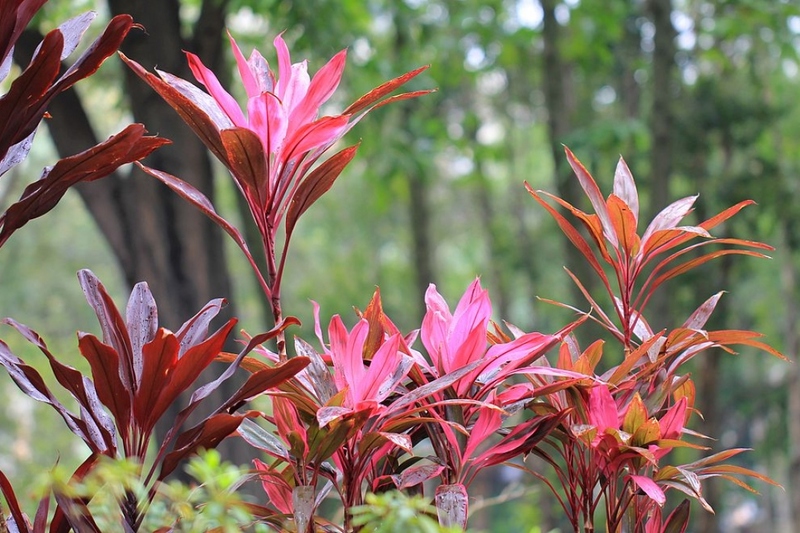 Ti plant (Cordyline fruticosa): growing, planting, caring. 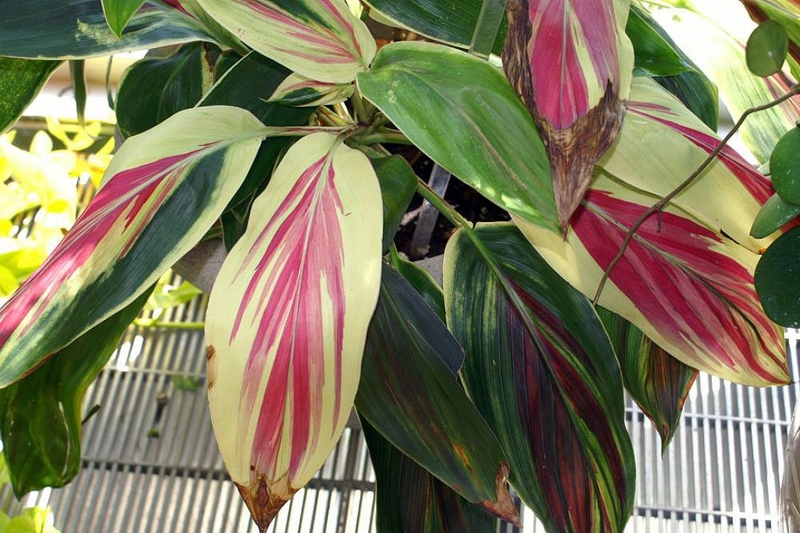 The most popular species of Cordyline for houseplants. A cousin of Dracaena and sometimes confused with one another. C. fruticosa is sold under numerous varieties, including C. fructicosa 'Kiwi', with variegated leaves of cream, 'Red Edge', green leaves with bright pink margins, 'Black Magic' almost black, or 'Spoon Baby', with surprising spoon-shape green leaves! 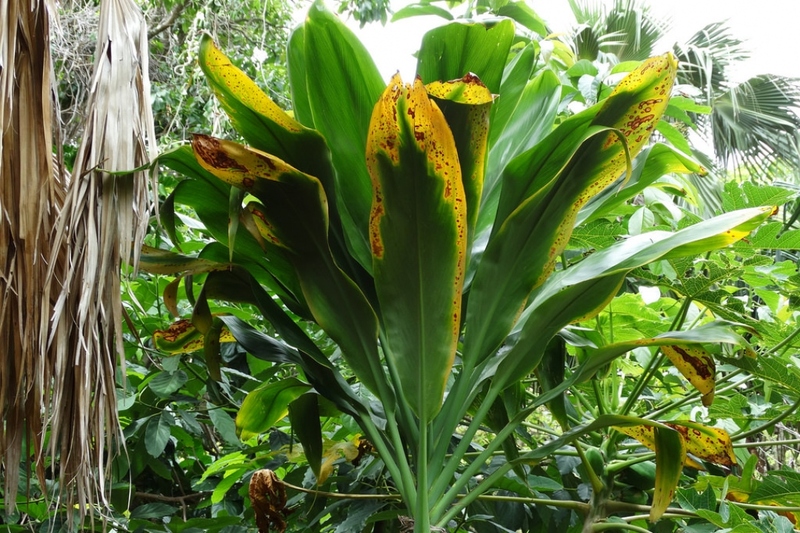 The foliage is usually lush and colorful, consisting of thin 60cm long lanceolate leaves. The flowers are fragrant, white or mauve, alas rare on plants grown indoors. An excellent indoor plant - best kept indoors in frost areas. Give her a warm and well-lit situation. Bring your potted cordyline indoors in a well-lit room. You can bring your potted cordyline outside for the season. Mulch your cordyline to protect it for the winter. Every year, scrap the mix for the first 5 centimeters and replace with compost. You might need to repot every 3 to 4 years.